Apparently, this does not say, “do not touch egg crap. 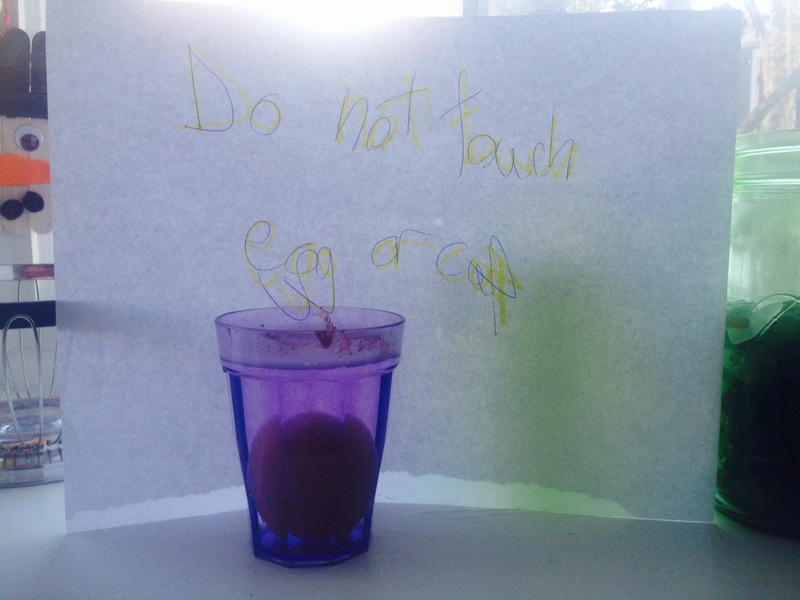 Egg is in glass of vinegar, where it will turn all rubbery and likely end up splattered all over a wall. At least he couldn’t find the food coloring.